You are here: Home » What IS IT about Girls and Shoes? okay, ilg c(om)es clean… ilg KNOWS!!!! 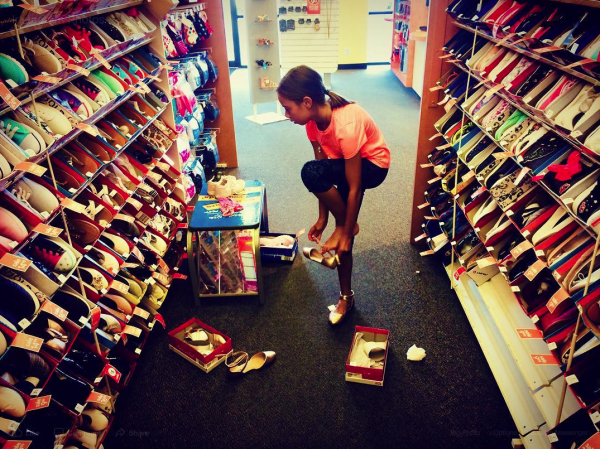 What IS IT about Girls and Shoes? okay, ilg c(om)es clean… ilg KNOWS!!!! the above paragraph/pic is what ilg posted on ilg’s social. yet? truly? ilg KNOWS viscerally why girls (the FAR Higher Gender of our Two-Legged Species) LOVE, LOVE, LOVE SHOES!!! k, let’s start fr(om) the Lower Chakra’s. H(om)o Sapiens were the FIRST to pollute – if you shall – our natural Connection to Mother (Earth) with prototypical ‘shoes’… evidence shows tethered Palm Fronds as Two-Legged’s first renditions of ‘shoes’…don’t reckon those models would get a Kardashian nod. The Samskaric nod is definitely entrenched. That is, covering the bott(om) of our feet separates us from the Primates. That, my young friends along the Path Higher? goes intrinsic deep on many Levels. Got to Stand Under (understand) that. see? your feeble coach of no-thing used to Manage a Phidippides Running Store on The Hill in Boulder in the 80’s and was running 100+ miles per week with ease (on pavement! )… podium’ing both road and trail races at whim and just in da GROOVE!!! During that Groove? Hey, Imelda Marcos her self did not have that much of a shoe fetish than ilg; ilg had 48 pairs of running shoes in my closest during that time! Yeah, ilg KNOWS about Shoe Fetishes! to balance all this out?